At CC LawGroup: A Professional Corporation in Newark, California, we are fully committed to helping you protect yourself and your loved ones while achieving your goals with regards to the serious and sensitive legal challenges affecting your family. Our law firm's founder, Cynthia Cho, an attorney and counselor of law, possesses decades of legal experience and counseling clients of all backgrounds. With a diverse background that includes serving as a private judge and mediator, she has extensive knowledge of the state's judicial system as well as identifying the special care and needs of her clients' particular challenges. We can help you resolve your conflicts and reach agreements without the need for expensive, time-consuming litigation. However, should your case need to go to trial, we will be right there with you to ensure your rights are protected and to increase the odds of obtaining the favorable outcome you seek. 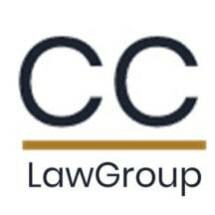 For more information on how you can begin receiving the compassionate, dedicated legal counsel you deserve from a local attorney you can trust, you can contact the CC LawGroup: A Professional Corporation by calling our law office or visiting our website to schedule a confidential initial consultation.